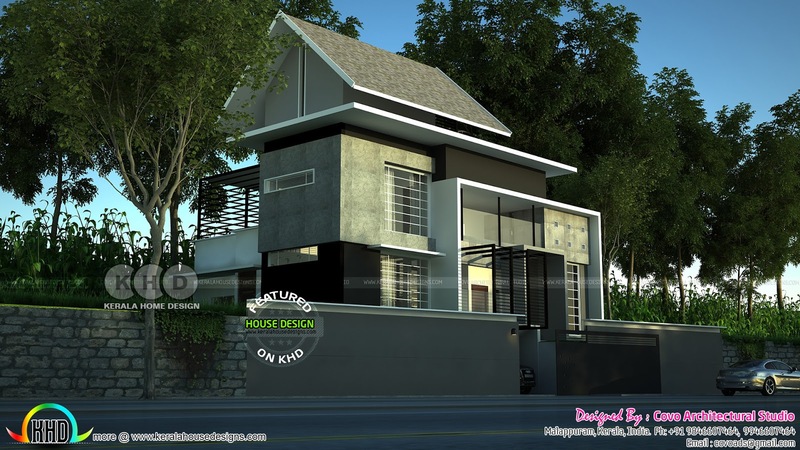 2700 Square Feet (251 Square Meter) (300 Square Yards) fusion style mixed roof contemporary home. Design provided by Covo Architectural Studio, Malappuram, Kerala. 0 comments on "Mixed roof 2700 square feet modern home"